Whether this participation takes the form of offering your musical talent as the prelude to our worship service, singing in the Holy Trinity Choir, or singing a hymn from the pew, it is our goal to incorporate every member of the Holy Trinity community into the musical life of our parish. Holy Trinity proudly offers a traditional musical liturgy in the Anglican tradition. The Holy Trinity Choir sings at the 11:00 am service, August through May, with several additional services throughout the year. Rehearsals occur on Wednesday evenings at 7:00 PM. Childcare is always provided during rehearsals and on Sunday mornings. The Holy Trinity Choir holds an annual fall retreat and offers several additional programs throughout the liturgical year, including the Ceremony of Nine Lessons and Carols in December and occasional major works and choral evensongs. If you are interested in joining the Holy Trinity Choir, contact Dr. Matthew Hoch, Minister of Music at matthew@holytrinitychurch.info. The Holy Trinity Children’s Choir is open to all children ages kindergarten through eighth grade. The Holy Trinity Children’s Choir rehearses on Wednesday evenings at 6:15 PM from September through April. If you or your child are interested in participating, please contact Seth McCullough, Children’s Choir Director, here. Choral repertoire at Holy Trinity is selected primarily from the Anglican canon of anthems, hymns, descants, service music, psalm formulas, and canticles, with occasional forays into alternative choral genres and styles. In addition to the Sunday liturgy, the choir also occasionally performs major choral works, sometimes joining forces with ensembles from other parishes. 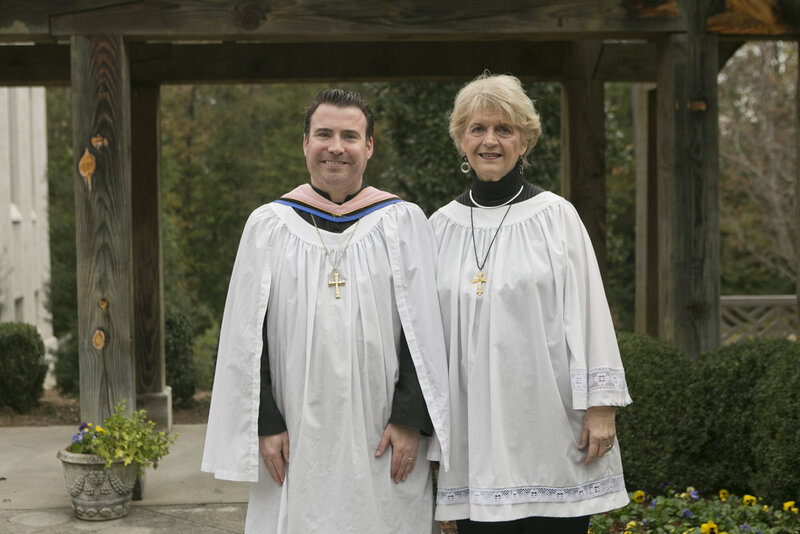 Holy Trinity regularly offers descants during processional and recessional hymns. Our resident composer, Dr. Jennifer Canfield, has written several descants for us that we would like to share with you below. If your parish uses the Hymnal 1982, we welcome you to use them as a part of your liturgy. SOLI DEO GLORIA.